Xiaomi has sold over 150,000 units of the Redmi Y1 and Redmi Y1 Lite that went on sale for the first time on Wednesday. 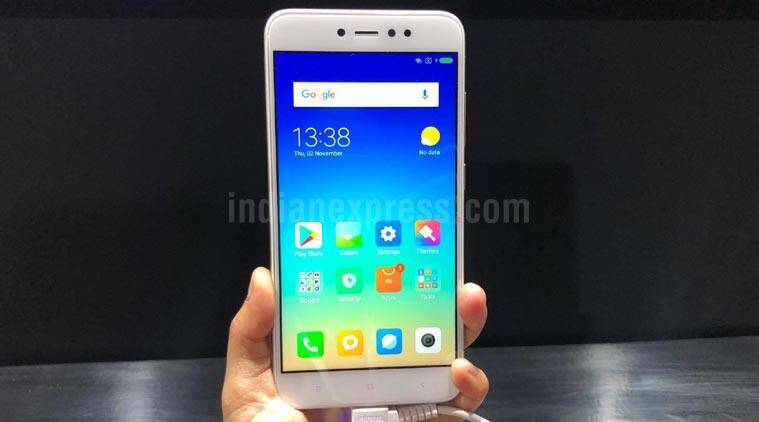 Xiaomi Redmi Y1 and Redmi Y1 Lite are targeted at the selfie obsessed crowd. Xiaomi has sold over 150,000 units of the Redmi Y1 and Redmi Y1 Lite that went on sale for the first time on Wednesday. It took the Chinese smartphone company only three minutes to sell the first batch of units. Manu Jain, Vice President, Xiaomi and Managing Director, Xiaomi India, was quick to share the announcement on Twitter. Both phones were made available exclusively through Amazon India and Mi.com. The company says it will hold another sale for the Redmi Y1 and Y1 Lite smartphones on November 15. The next sale will commence at 12:00PM via Amazon India and mi.com. Redmi Y1 or Redmi Y1 Plus might not be premium devices, but they offer a plenty of features for the price. Both phones feature 5.5-inch HD displays, Android 7.0 Nougat with MIUI 9, and a 3,080mAH battery. Redmi Y1 is powered by a Snapdragon 435 SoC, while the Y1 Lite is powered by a Snapdragon 425. On the camera front, the Redmi Y1 has a 13MP camera, and a 16MP selfie camera. The Redmi Y1 Lite, meanwhile, offers a 13MP rear camera, and a 5MP shooter for selfies. The devices comes with connectivity options including dual-SIM support, 4G VoLTE support, Bluetooth, and Wi-Fi. They also feature a fingerprint scanner on the rear. Thank you Mi Fans for your love and support. 🙏 Next sale is on 15th Nov at 12 noon! Xiaomi Redmi Y1 price starts at Rs. 8,999 for the 32GB storage and 3GB RAM model, going up to Rs. 10,999 for the 4GB RAM and 64GB storage variant. And if you are looking to pick up the Redmi Y1 Lite, the device currently comes in only one configuration, with 2GB RAM and 16GB internal storage. It can be purchased for Rs 6,999.